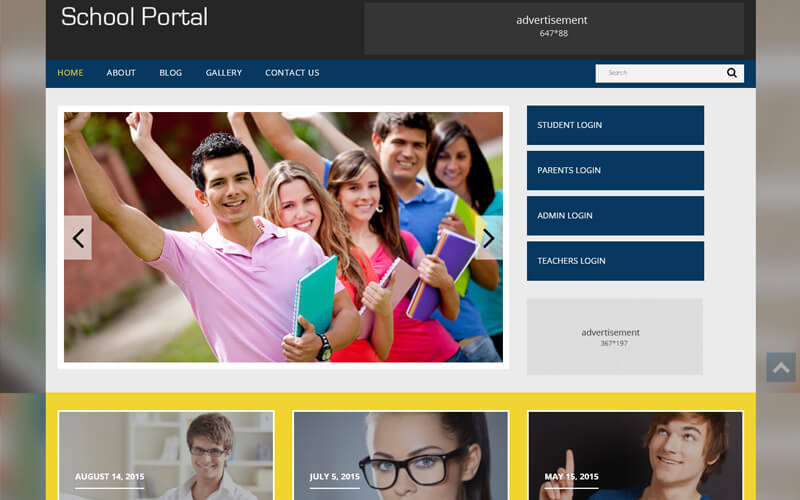 The school administration can provide each teacher have a unique user name and password which is useful to maintain the database of the students such as profile, attendance, feedback, academic performance, co-curricular activities, syllabus, lesson plan, time table, exam schedule, parents meetings, grades etc. Schools alert Management System is a comprehensive product that incorporated with the entire essential features, which are indispensible for an administration of a school or an institution. The inbuilt mailing option can be used to send and receive messages within the group and share the information. The School College Listing Script have been provided to the Admin to possess full control over the site to manage the profile of the staff, salary details, attendance details, meetings details etc.The All School College Integrate Software administrator can provide each school management a unique username and password on receiving fixed fees, which the school management can use as if their own website and upload and share information to others. This script have high quality functionality, clear documentations and easy to access for users. They are provided full set of source code and fully safety and secured. I am very happy with your script. It looks really professional and every little change has been dealt with your support team very professionally, quickly and efficiently. We’ve tripled our conversion and I would truly recommend PHP Scripts Mall.